Will he be better than Metal Mickey? A robot actor takes to the airwaves on British radio next week. Could metal thespians fare better than the CGI variety? BBC Radio 4 is broadcasting five 15-minute plays based on Isaac Asimov’s I, Robot each day next week. Starting Monday at 10:45am with repeats at 19:45pm. They will then be assembled into an omnibus edition on Radio 4 Extra next Saturday at 13:00. As ever it will become available online to all corners via iPlayer shortly after broadcast. 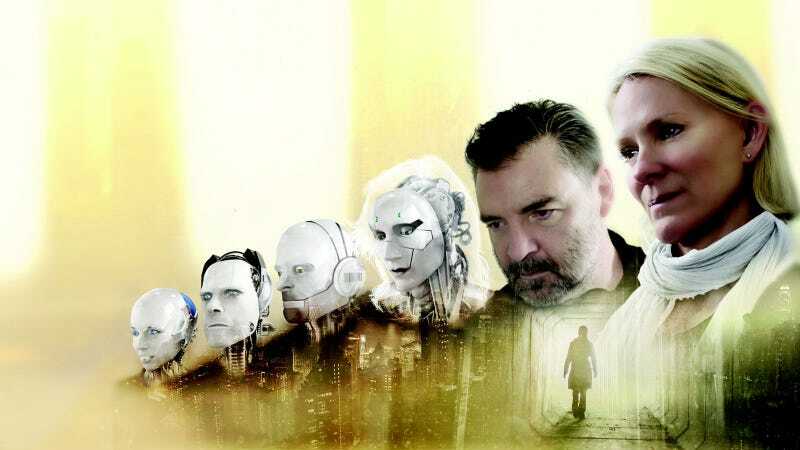 The cast includes Spooks -star Heremoine Norris and Stanley Qubit, a Nao-25 humanoid robot owned by technology journalist Chris Middleton who also appears in the production. If you return to Radio 4 Extra at 18:00 next Saturday they have the first of eight-episodes of The Twilight Zone. Rod Serling surrogate Stacey Keach will be presenting The New Exhibit. Wax-museum employee Martin moves the figures of notorious murderers into his home. Silly boy! Stevie is raised by a robotic childminder and a powerful bond forms.